I want to share one more stone detail from the Somerset town of Radstock, to add to the one in my previous post. 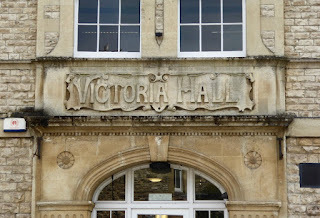 It’s the name stone for the Victoria Hall, obviously, and the building bears the date 1897. 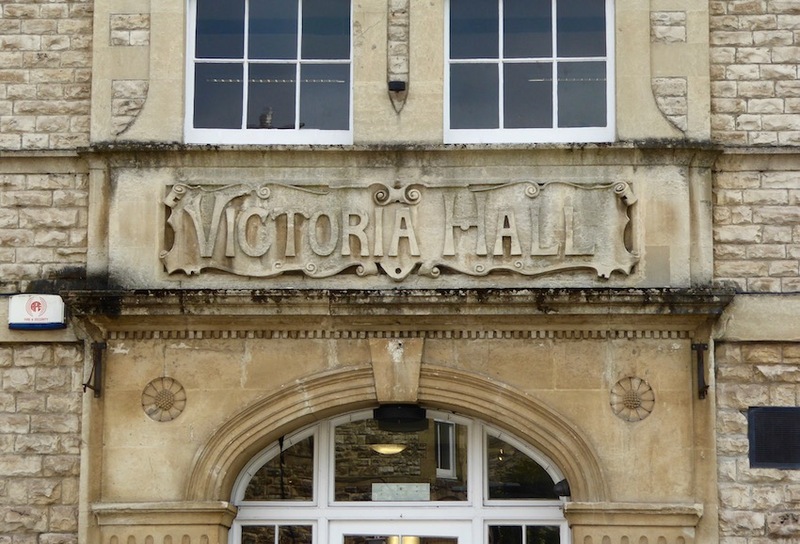 That was the 60th year of the reign of Queen Victoria, and the hall’s name apparently marks this milestone in the life of a queen who held, until the current queen surpassed it, the record for the country’s longest reigning monarch. The building’s name plaque shown in my picture is one of a couple of carved plaques surrounded by small scrolls that adorn the front of the hall. The other gives the date and notes the commemoration of the queen. From all this, one would be forgiven for thinking this a hall of 1897. But beware of dates on buildings. They’re not all quite what they seem. This is in fact a building of 1866, which was enlarged in 1897. It was originally a Working Men’s Institute – a place, then, where men could attend informative and enlightening lectures, and where they would find other beneficial facilities, probably including a reading room. 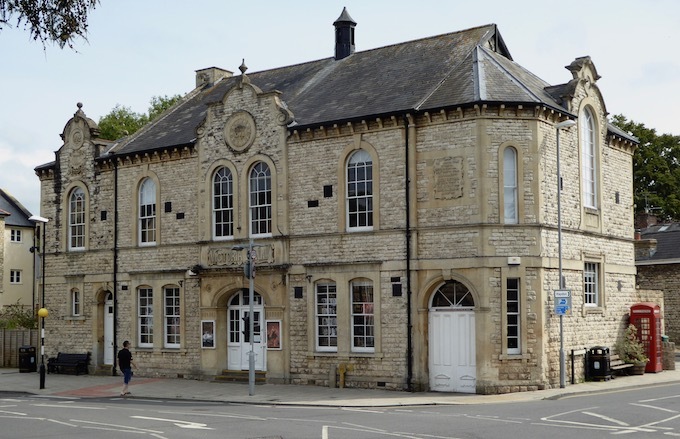 * However, in 1902 the hall’s function changed, when it became council offices, and it has now found another life as a community arts centre. The building looks well made and solid, with some pleasant touches – the round-headed windows and the ornate gables, for example. The central gable boasts a pair of large scrolls, and scrolls, too, make their appearance as a decorative motif in the frame of the name plaque. The lettering is also decorative. It has not, it is true, broken out into the outré and curvaceous style of Art Nouveau lettering,† but it has its moments – especially the capital V, with its curving left-hand stroke, splaying to a forked termination at the top and its right-hand stroke, straighter but ending with a long flourish. That flourish is also interrupted by a tiny indentation about one third of the way along the top,§ so that the whole stroke looks like a raised leg with the foot enclosed in a tight-fitting shoe. Not so Victorian, then, after all. 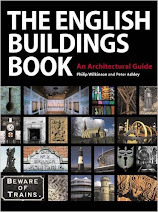 * For more on institutes, see a post I did long ago on a building in Banbury. 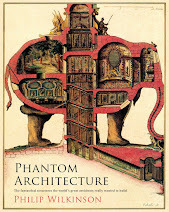 † There is an example of full-blown Art Nouveau lettering here. § My apologies if the small picture makes this detail difficult to see. I promise you, it’s there, and not a product of my imagination! Thanks for this. 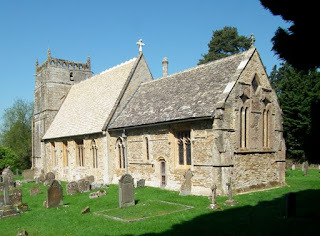 I think I might put Radstock on my list for my next foray into Somerset, weather permitting.